I hate it when the New York Times beats me to an article. In the wake of Black Panther coming out, and considering its position as the first high budget Hollywood film that is also a work of Sci-fi Afrofuturism, I wanted to look at some other films you might describe as Afrofuturistic. I was excited to do this, but then last week, the Times had a piece, by critic Glenn Kenny, called "Exploring Afrofuturism in Film, Where Sci-Fi and Mythology Blur." It's a good piece and I enjoyed reading it, but I was annoyed that the paper talked about some of the films I wanted to discuss. The Times mentioned Sun Ra's 1974 Space is the Place (available on You Tube), which has some similarities with Black Panther. In Space is the Place, Sun Ra along with his band use a spaceship to come down to earth from their new home planet. And where do they happen to land? Oakland, where they set about opening an Outer Space Employment Agency. Sun Ra wants African Americans to settle on his planet, and the agency’s purpose is to get people to move there. It”s a world with no white inhabitants, so the idea is to see what would happen without white people around. The movie is not exactly up to Black Panther levels of technical expertise, but it's worth seeing both as a curio and for presenting in cinematic form a number of Sun Ra's ideas. But the films I really wanted to talk about, before I read this New York Times piece, were African films that in their way could be described as belonging to the world of Afrofuturism. 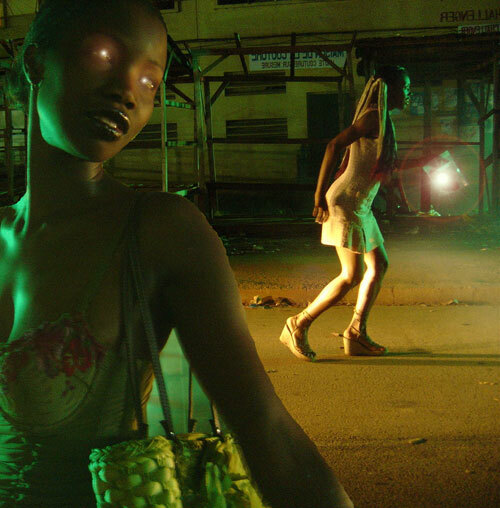 African Afrofuturism, if you will. What have those films been like? I had in mind three such movies I've seen, and wouldn't you know that the paper of record beat me to the punch by discussing two of them. Depressed, I considered writing another piece, on an entirely different subject, for this particular post. Not that I had any solid idea what this impromptu post would be. But then I thought screw it, I'll write my little piece as intended, why should I let the Times intimidate me? For one thing, I doubt everyone I know actually read the Times piece on Afrofuturism in film. And two: even if they did read it, what's wrong with reinforcing what the Times critic wrote? It's unlikely a lot of people have seen these films, so if you did read the Times piece, here's someone else recommending these films. Can't do any harm. 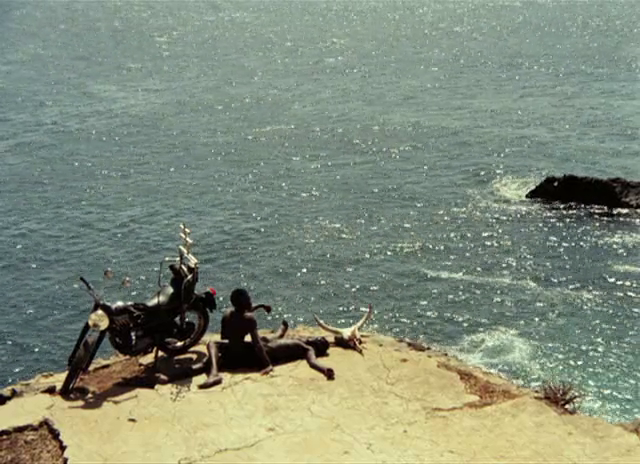 This Senegalese film was made for $30,000 by a twenty-eight year old who had no formal film training. 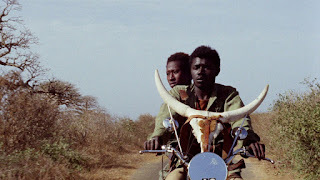 It's a road movie of sorts, about a young cowherd named Mory and a woman named Anta who are fed up with their lives in Dakar and plot to get to France, which they've never visited. Together they ride around a lot on his motorcycle, which has a horned animal skull mounted on it, and indulge in schemes, including robbery, to raise the money for the ocean voyage. It's not so much that the film has any science fiction in it that makes this film feel futuristic, or otherworldly, so much as the way Mambety plays around with conventional narrative. A low budget is no hindrance to this filmmaker, who clearly has studied everyone from the great Senegalese director Ousmane Sembene to Sergei Eisenstein to the filmmakers of the French New Wave. He often mismatches sound and image, and he edits in such a way that sometimes it's hard to pin down exactly where, or in what order, certain events are taking place. From scene to scene, the whole movie has an energetic, free-associative vibe. It alternates between manic and meditative, absurd and serious, socially realist and quite dreamlike. There's no question the film is taking place in then contemporary Senegal, but the way Mambety mixes up the urban and the rural, the modern and ancient, African and Western, makes it seem like the characters' odyssey is happening in a place out of time, a Senegal of the mind as well as of the actual world. The movie's available to buy from Criterion as part of a set, Martin Scorsese's World Cinema Project, or you can stream it on the Criterion Channel of Film Struck. I've seen this remarkable film twice. 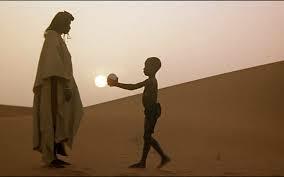 It's a Bambara myth film, set sometime around the 13th Century in Mali, and the plot involves a young man and his father. Both practice magic, but the father uses it for selfish purposes. After the father has a vision that indicates his son will be the cause of his death, he decides he must kill his son, and a long journey for the son results, a journey involving pursuit and dangers and a final, extended confrontation. It's hard to describe how completely absorbing I found this movie. The director takes you on a trip that feels familiar only because it's mythical in nature and myths the world over have common features. And yet, it's completely non-Western in how it approaches storytelling conventions. This is an African world before the advent of any Western influence, and the director handles it as if he's filming a poetic documentary. The fantastic and the magical, intimations of the cosmic, are everywhere, but they're presented in the most matter of fact way. 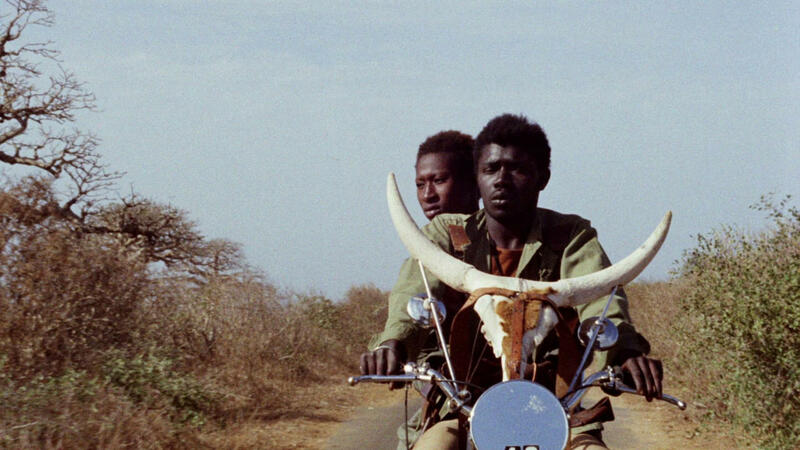 Cisse, unlike Mambety, was a cinema fan since childhood, and his mastery shows. Yeelen has a stately pace that gives it an epic feel, and the only way I can describe the final duel between father and son, both using magical instruments, is to say it feels foreign and familiar at the same time. It's something taken from Bambara legend (which I know nothing of), but it could also be a scene from a western if you exchanged the magical instruments for pistols. Again, it's an African terrain that seems both ancient and timeless, where rituals may be repeated over and over for eternity. In my view, this film is a masterpiece. It's available to stream, from what I've read, on Kanopy. This film from Cameroon is set in an African country in the year 2025 and combines science fiction and horror with political satire. The plot follows a pair of seductive women who use their sexual power to infiltrate the sanctum of their country's political elite. Their goal, as it appears: to get rid of the utterly corrupt men who have ruled and robbed the country for decades. They are bleeding the men who have bled the country dry. Complications ensue, of course, and disposing of all their victims, eliminating all that male governmental rot, is not as easy as they first thought. The movie has a very stylized, colorful look but it also has a roughness to it. The editing is jagged, downright choppy, and the whole thing makes for a strange experience. Different genres mix, including aspects of erotica and even musicals, and the plot itself seems to dissipate as the film moves along. But its message about corruption doesn't, and the strong female characters in Black Panther have nothing on the pair in Les Saignantes, who give the men around them precisely what they deserve. This one is hard to find, so you'll probably have to search. But it's worth finding if you want an odd and thought-provoking Afrofuturistic experience.